We haven’t shared any news with you from our Brolio Osteria restaurant since the announcement that it reopened mid-March. There’s so much to report that sometimes we have to choose what to write about for our weekly post on Thursday. 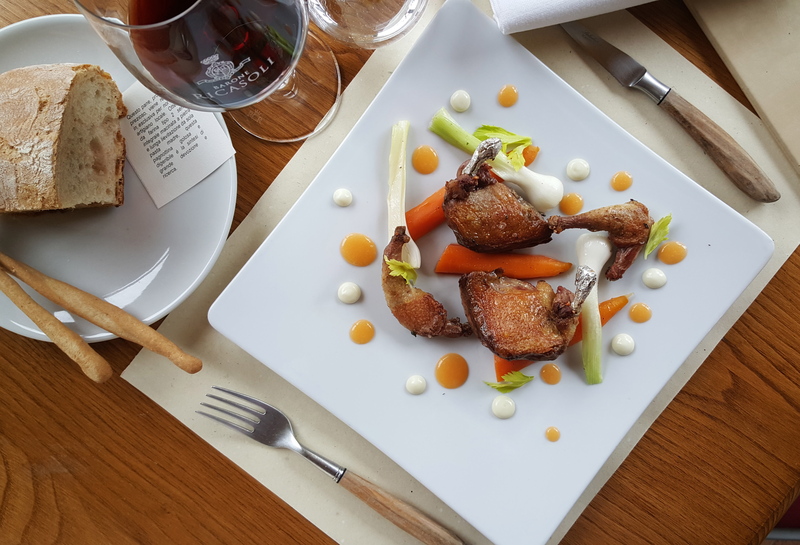 But today is the Osteria Restaurant’s turn, chosen from among countryside, wines, events and much more, because our restaurant is experiencing a new and exciting season. 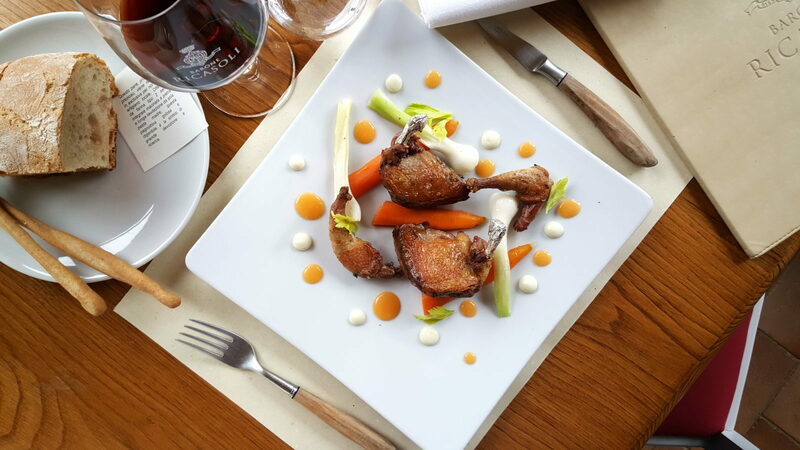 It’s not easy to write about a restaurant: the kitchen, the dining room the choices and decisions made for the menu, or the considerations that lead to changes in the wine list. Let’s start with this last one: we’ve recently decided to highlight our new concept of the wine list, which we told you all about some time ago on the pages of our site and which we’ve now actually printed on the tablecloths of the Osteria Restaurant. Do you remember? Our wine list is a concept more than an actual list: besides the vintages and the formats present in the classic wine list, the wines available in our cellar can be purchased at the same price as in our Enoteca Wine Shop. That means none of the additional charges typical of a wine list but only a corkage fee for the service! This new way of handling a wine list has yielded many a pleasant surprise, because it was conceived especially for the enthusiasts who wish to try one of our more important wines. And these aficionados often wish to purchase a bottle at the end of dinner when the Enoteca Wine Shop is already closed. The same is true for our menu, which contains the core of the new direction of the Osteria restaurant. This was also discussed on one of our webpages, which we’d like to read back through with you: The menu reflects the spirit of the season, with ingredients of the highest quality. The result is a very balanced cuisine with a light touch of well-placed creativity. Contrasts in flavors are gracefully highlighted, with great respect for the tradition. These are not just chance phrases, nor words that sound good when placed one beside the other. This is the summary of all the thinking on which our Osteria restaurant is founded. 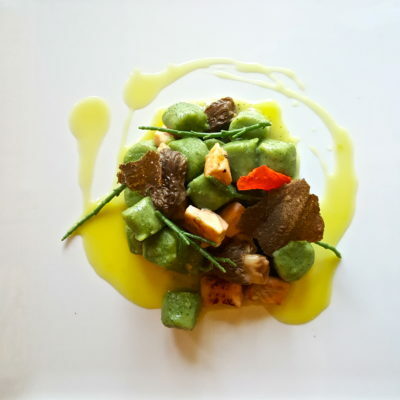 Contemporary Osterie restaurants have been experiencing years of great upheaval in our Bel Paese. It was inevitable that the concept of the Osteria had to be revisited and reinvented after so much time. Enthusiasts know what we are speaking about, they know that after the great Cantarelli the figure of l’Oste, or Host, has practically disappeared. They know that the Osteria traditionally known as such is not replicable precisely because the figure of the Oste implies qualities that are not easily reproduced. But the great Peppino Cantarelli left a wealth of experience we can use if we consider what he managed to do in the 1970s. Famous contemporary restauranteurs still refer to him because he is unforgettable, because whoever dined in his restaurant discovered something new every time, because he didn’t need to explain to the clients that the choices made to prepare each dish were dictated by the desire to do the right thing but especially by the desire to keep going even when faced by changes. 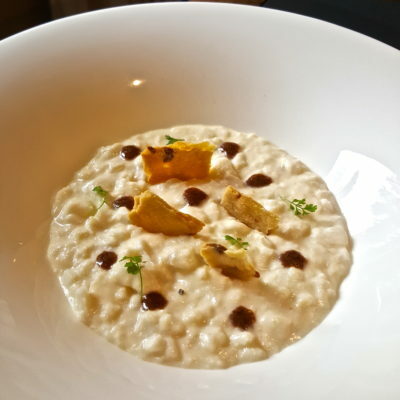 Even Antonio Santini has said thousands of times that he always has something to learn from the great Peppino, from the dishes planned and offered, since running an Osteria doesn’t simply mean preparing a risotto in a certain way because it has always been traditionally cooked in that way. This is the reason why in the 1970s Mirella Cantarelli invented dishes which are even today considered models of Cucina Nuova. Who doesn’t remember rice Savarin with corned tongue, or guinea fowl baked in clay, or veal rump with mushroom cream, or chicken mousse with almonds? 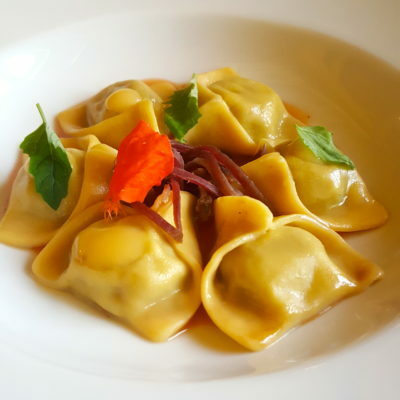 It was daring to offer dishes like these in a simple trattoria in the Parma area, but Cantarelli closed 30 years ago and we’re still speaking about them. We can’t ignore this story and continue thinking that Panzanella and tripe always have to be made in the exact same way. Long live authenticity and tradition, but let’s also try tasting something that could offer stimulating flavors and a new appearance, without distancing ourselves too far from our origins. From the 1970s until now there have been revolutions in the world of restaurants. We are pleased and proud to have named our restaurant “Osteria” because Brolio really is one of those places of the heart where choices and decisions can be made in honor of something (or someone) that is no longer with us.